Hello Guys, Grammarly has launched its own virtual keyboard for Android and tablet smartphone. 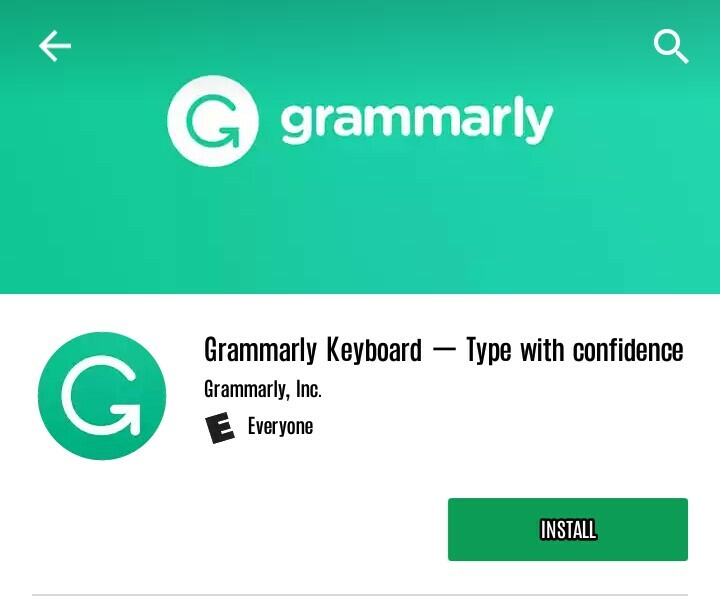 the new Grammarly keyboard was announced today and it's now available on Google play store to download. Grammarly Keyboard is a personal editor integration with mobile apps and browsers, Grammarly keyboard always checks your writing and make sure the message looks very clear with no mistake after typing. The keyboard app also gives you suggestions on top of your keyboard if your spellings are wrong. With the new Grammarly keyboard app, You can change to any language within the keyboard and of course, you can also add words to your personal dictionary to prevents Grammarly from flagging them as mistakes. Click Here To download Grammarly for your Android Or Tablet Device. Good and innovative idea. I'll like to check it out.